Martha's Favorites: TEA CUP TUESDAY AND WE HAVE A WINNER! TEA CUP TUESDAY AND WE HAVE A WINNER! Hello Ladies! Welcome to Tea cup Tuesday No. 132! I bet you were wondering where I was yesterday. I had doctor appointments all day yesterday and came home and fell asleep. So sorry! 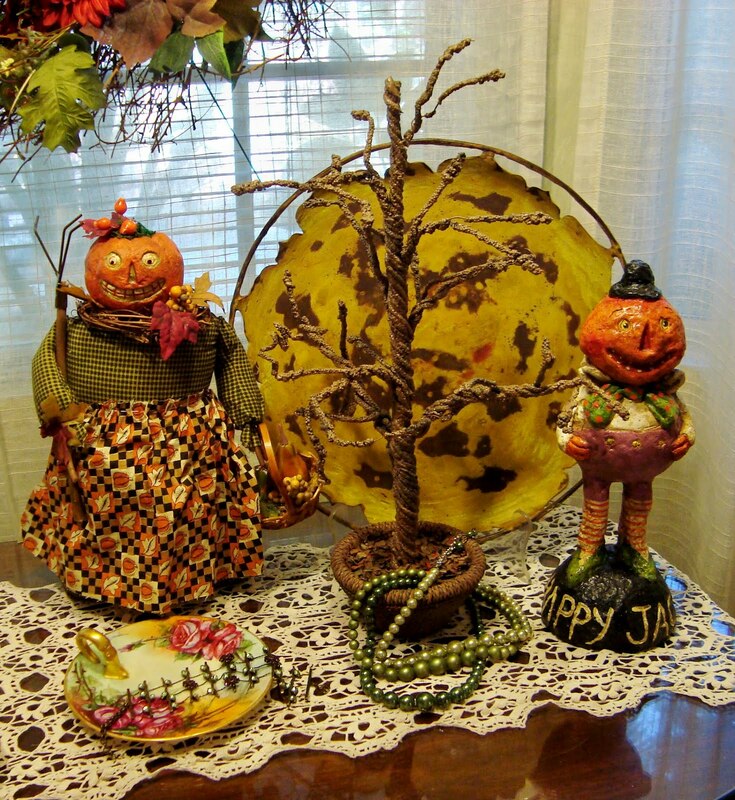 It looks like we have all begun our Autumn Season decorating. Things have finally begun to change in my home. Getting ready for the cool weather and of course the Holidays. I have been helping our church get ready for a 90 Anniversary. I want to make things look special for them, at the same time, I have my son, Kyle to help. I want to thank you for your prayers, unfortunately he did not score high enough to be hired. His score was a 95, that tells you how hard it is to be a Fireman in California. He was given the opportunity to reapply in January, 2013. In the meantime, his is working on his EMT Certification. Please pray for him, it is so hard. As promised, we have a winner of our Tea Cup Contest. Drum roll please . . .Mom Wald of http://momwaldsplace.blogspot.com. If you do not know this lady, let me introduce you, she is amazing. She always leaves wonderful comments. (You know the kind that you like to re-read, that's her!) When you are sad, she always lifts you up. When you are happy she shares in your joys and encourages you on. I am so glad Noah (Ninja) was able to stop long enough to pull her name out of the hat. Mom Wald, please email me so I can send you our treasure. I plan to have another give away at the end of next month. (I have been watching Hoarders lately, so that always encourages me to give away or to sell. My cups this week are so cute. This first one is one of my favorites. I had coveted this cup for years, but it was always too expensive. Finally, about 3 years ago, I found one at an Estate Sale in Pasadena. I was so excited. 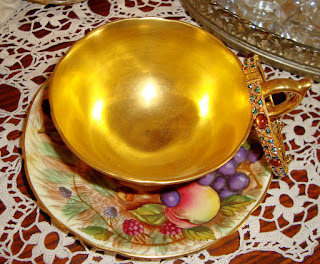 It is a beautiful gold inside the cup as well as on the saucer. It is an Aynsley of course. Don't you just love it? 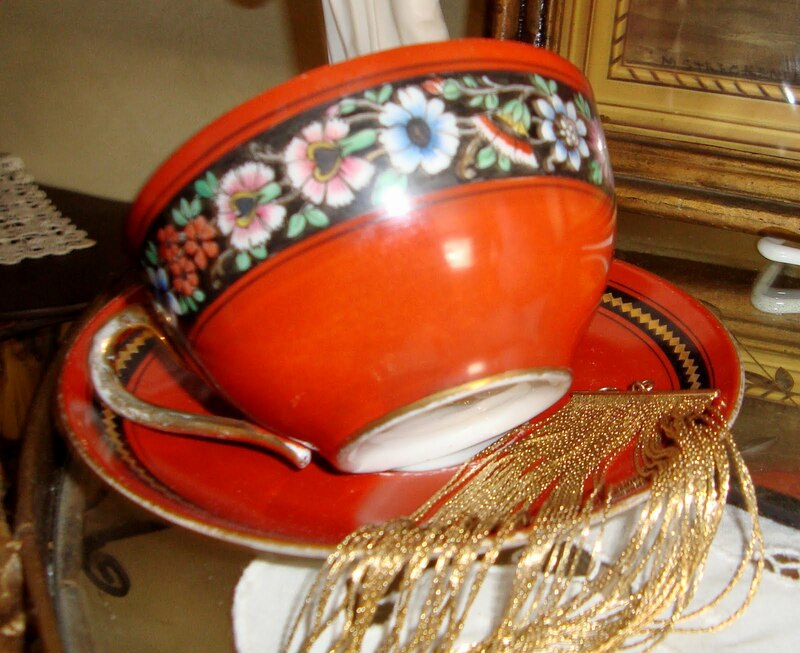 This next cup is this cute demitasse cup from Japan. It has this little bird sitting on the handle. I just love this cup. I have owned it for years. I am sure it is not very valuable, but how can resist the birdie? Here is Mr. Linky for this week. Again, sorry for being so late. Will be visiting you all this week. I am so sorry about your son not passing that test- but he will get it in Jan! Everything happens for a reason, and we are kept in the dark the workings of the Lord - so just no fretting! Congrats to Mom Wald the lucky winner, how awesome! 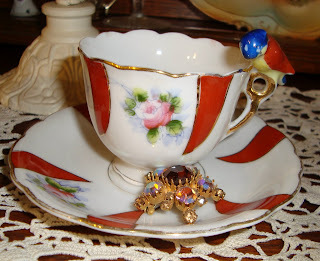 I love your sweet teacups - and the little birdie one is extra special to a bird lover like me! I LOVE your golden Ansley - wow it is luscious! I am glad you were able to rest, that's the beauty of co-hosting linky parties, you have one another's backs! Hi Martha !,beautiful your post.All post beautiful .Your teacup gold is very beautiful.ADIOS!! 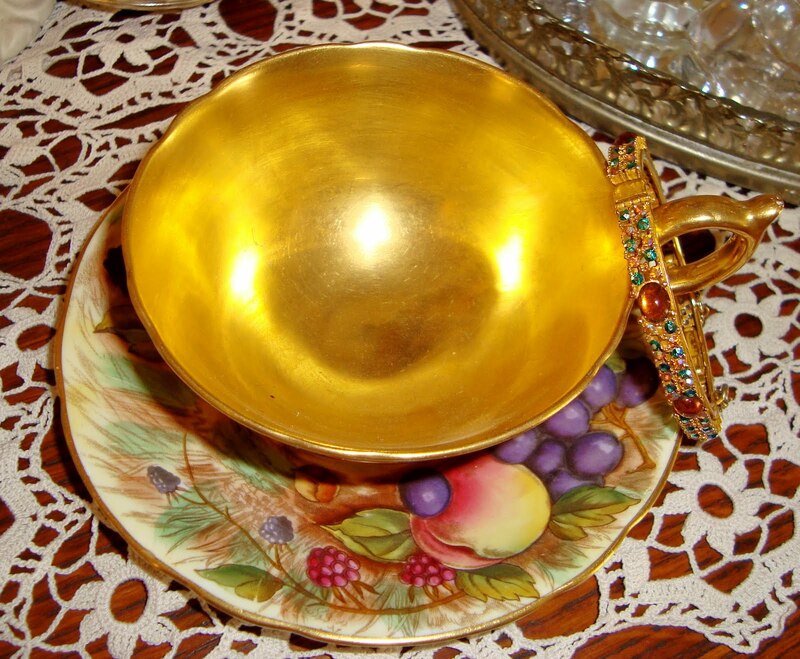 Your golden teacup is a real stunner! Congratulations to your winner! We're routing for your son. If it's meant to be, he will definitely get in. If he doesn't, then the Lord has something better for him to do. God bless him! Hello Martha! Happy to see you! I am always a little confused with our different time in our countries but this time it was a bit strange... haha. 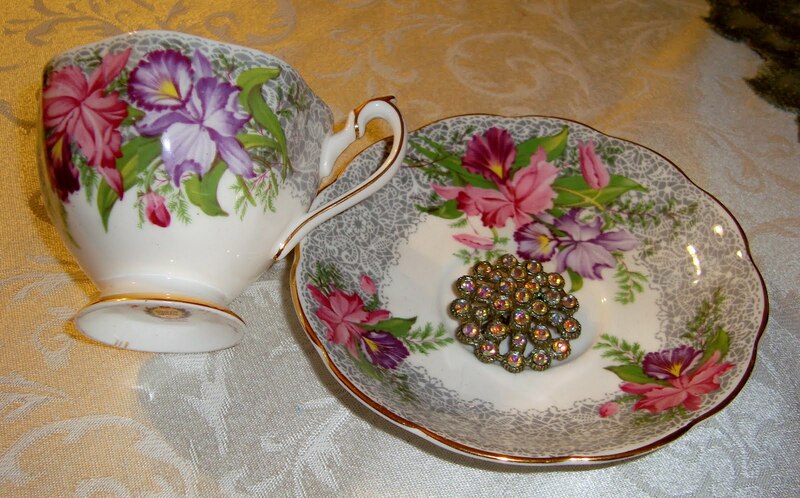 Your teacups are lovely as always! Congrats for the winner, I am going to visit her. Lovely teacups, Martha! Thank you for hosting your fun party and have a great week! Whew Martha! I am so glad to see your post up! I was wondering how you were. I am glad you are fine. Your cups today are very Fall ish! Love your Aynsley! that is stunning! But the other cups are very lovely too. Congratulations to Mom Wald! She is a lovely lady! Your cups are very pretty! I am liking that Bavarian cup. It is bold but, perfect for a Halloween tea. 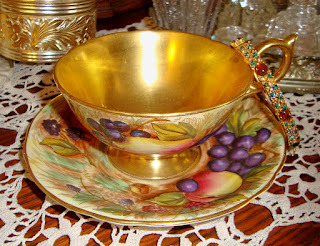 Wow Martha, I have never seen a teacup with the gold on the inside. 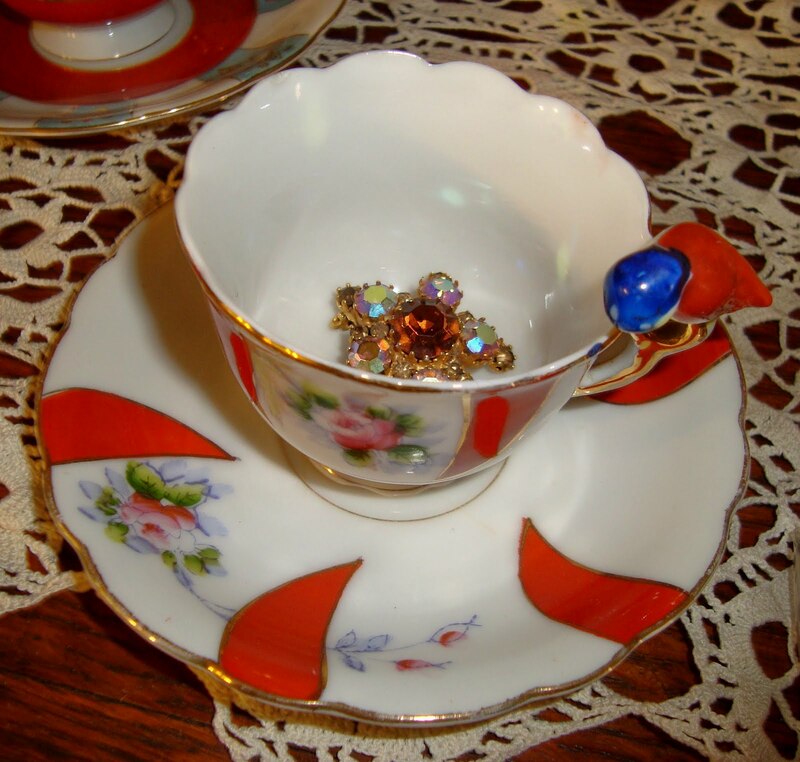 Beautiful teacup! so nice to see your post. I was wondering what happend with you. But a little nap is really good. Its is never too late to post a Tea Time. Sorry that Kyle didn't made it this time. Who knows for what it is good. Maybe next time. Your cups are again real treasures. I love the heavy gilded one. So pretty. An Congratulations to Mom Wald. She will be delighte. Thank you for sharing your treasues and for hosting this sweet event. Hope you are well....Wonderful teacups. The Aynsley is gorgeous! Congrats to Mom Wald...she's a keeper, isn't she? 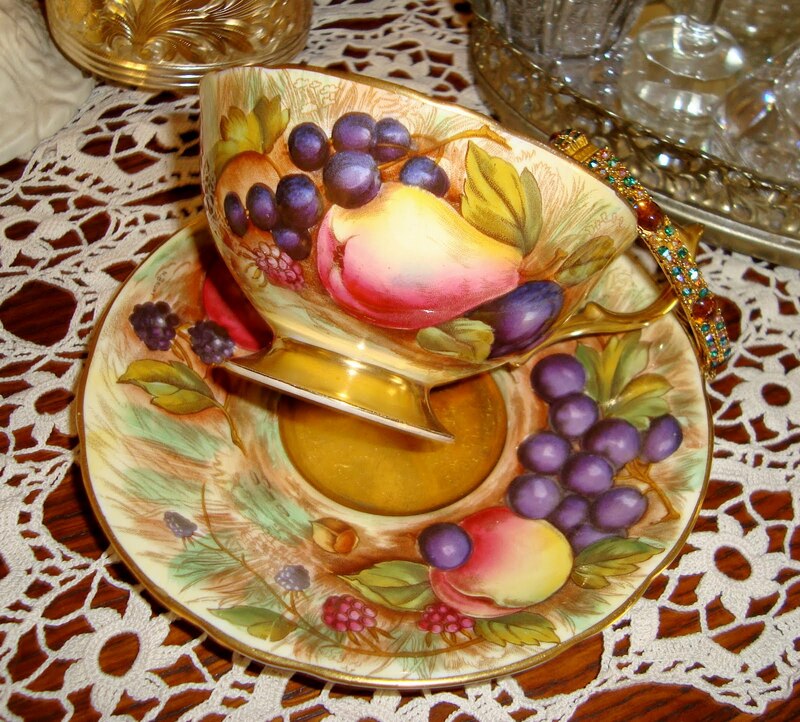 Your teacup choices are perfect for the season! 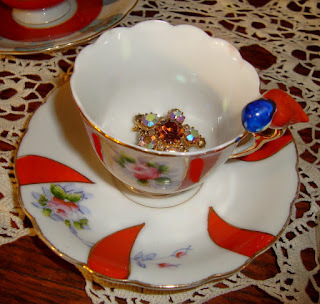 I'm late coming by for Tuesday, so this is for Teacup Thursday as well! Life happens, doesn't it???! 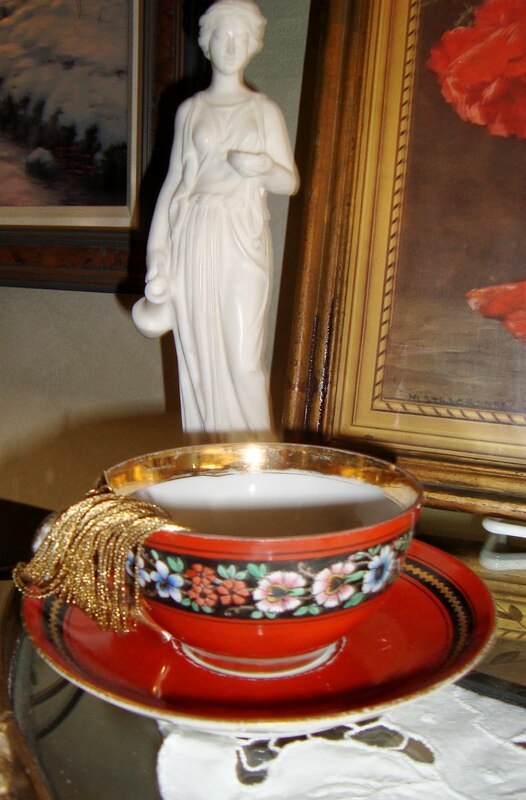 I am not a tea drinker so I have very few tea cups although my mother had a wonderful collection. You make me want to get out and hunt for the perfect tea cup. TEA CUP TUESDAY AND ANOTHER WINNER! TEA CUP TUESDAY ON 9-11! SEPTEMBER'S FIRST TEA CUP TUESDAY!